Malaysian comeback queen Low Wee Wern’s dream run at her maiden Macau Open continued today as she overcame a first game deficit to beat a third Egyptian in a row. Having taken out second seed Salma Hany in the second round, then Nadine Shahin in the quarters yesterday, Low beat a third Egyptian Zeina Mickawy in four games today. Low Wee Wern played patiently to force error after error out of Mickawy’s racket today. “I think (today) I played one of my best this week, so far. I was a lot calmer on court. Even though I lost the crucial first game, I was actually quite calm. I was finding my length and the corners pretty well today. It’s a good improvement for me to get better day by day. Annie Au chalks up win #12 over Asian rival Joshua Chinappa to make another Macau final. Omar Mosaad in total control in the all-glass court at the Tap Seac Square. 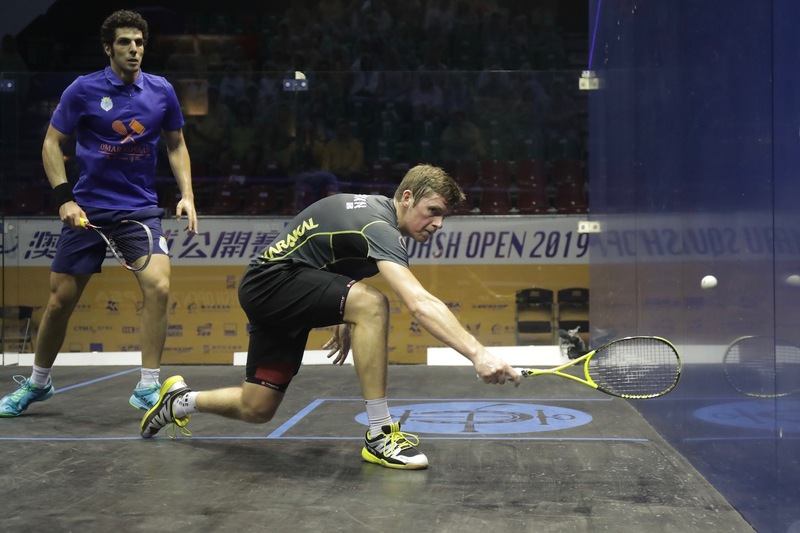 Greg Lobban had to play second fiddle once again in his second 50k semi-final. 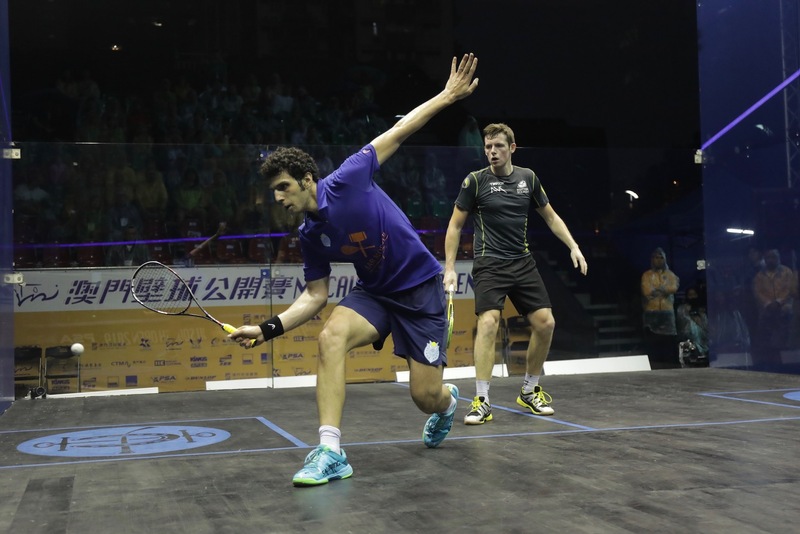 Mosaad celebrates his win and fourth Macau Open final. While Mosaad has plenty of experience here in Macau, his opponent tomorrow will be a first-time finalist here. 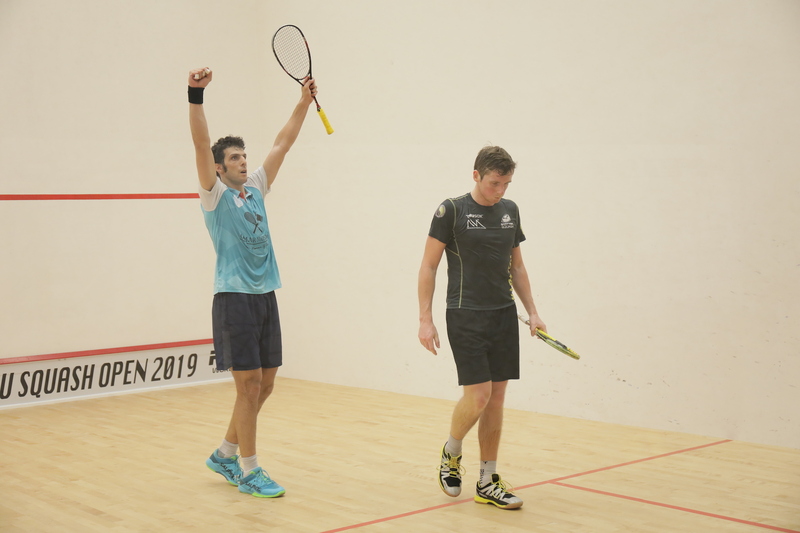 Top seed Diego Elias edged out defending champion Yip Tsz Fung is a match that truly showcased both their amazing skills. The pair, who both play a very similar game of calculated lengths and deft drops, entertained the crowd for a full 53 minutes. 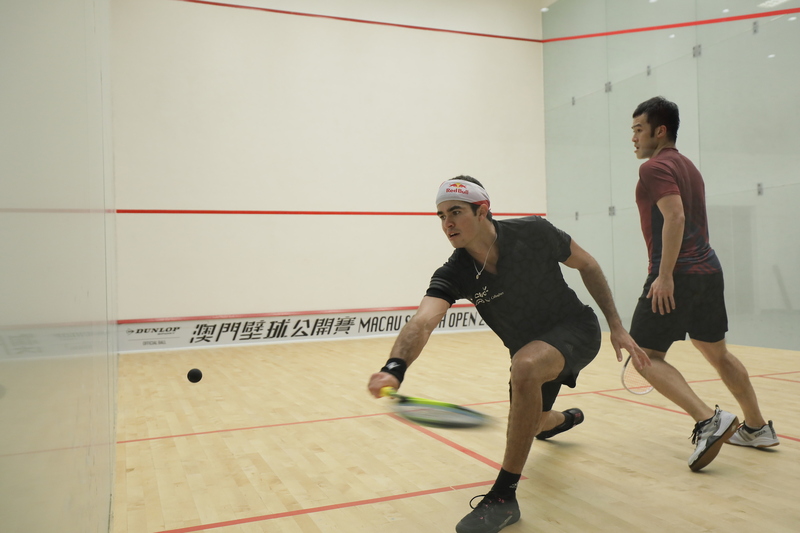 Diego Elias (l) contains yet another big Hong Kong threat in Yip Tsz Fung to make the final.